The most recent estimates are that over 1 million vehicles were destroyed in Hurricane Harvey. In many cases, the owners are still paying the note on a vehicle that was lost. This means that they will not be able to purchase a new car. As things get back to normal, these folks will need to get to school, work, the grocery store, etc. As a transportation company, we should be able to put a dent in the mobility needs of these people. Our goal is putting butts on bikes, and this is a way for us as Houstonians to help those in need and expand the bike culture. 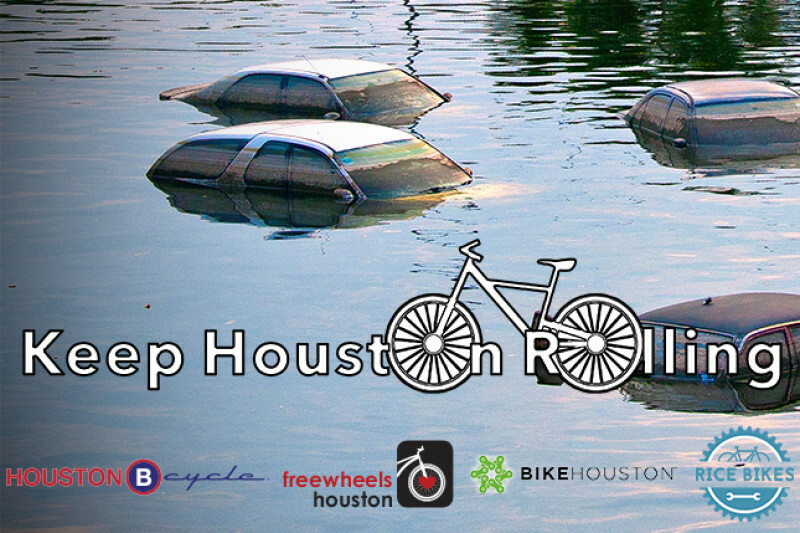 Houston Bike Share has partnered with BikeHouston, Freewheels Houston and Rice Bikes to launch the “Keep Houston Rolling” program. For the remainder of 2017, we will be accepting donations of new and used bikes and distributing them to community members in need. All bike donations will be accepted, regardless of condition or size. Donations can be made at Houston Bike Share’s office. In addition to distributing donated bikes, personal bikes that were damaged in the floods are also eligible for repair. Withover 400 bikes donated by Giant and Trek, as well as our ongoing bike drive, Houston Bike Share anticipates having several hundred bikes to distribute by mid September. If you cannot donate a bike, but want to help us cover costs of mechanics assembling and repairing bikes to give away, please donate here!